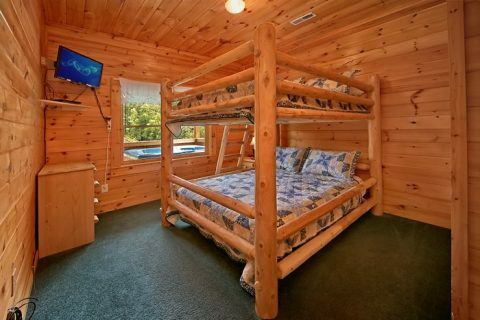 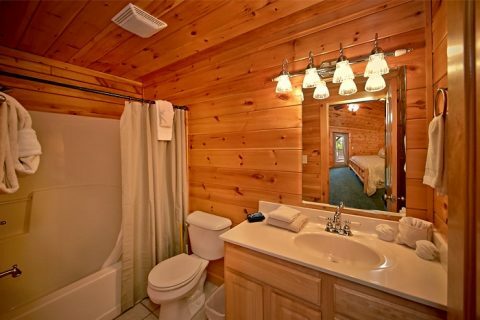 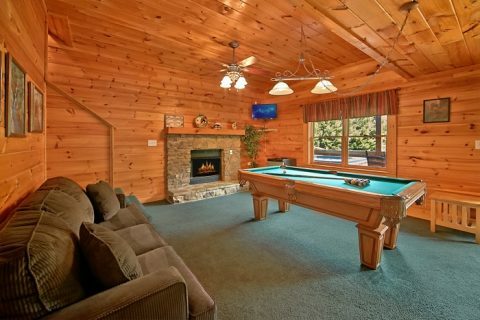 This fantastic Smoky Mountain cabin rental with pool access, hot tub, pool table, arcade rests in a premiere location in Cabins At The Crossing Resort near Dollywood with easy access to Downtown Gatlinburg! 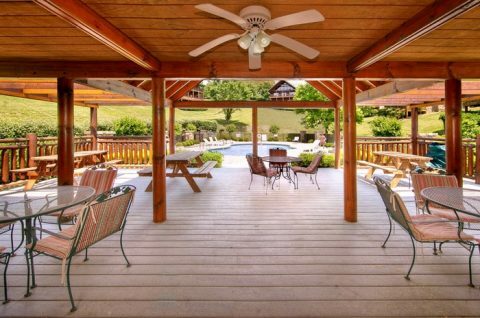 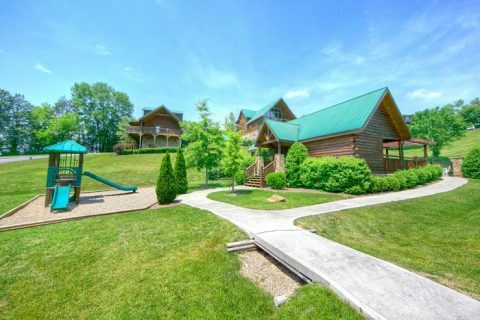 This 7-bedroom, 7-bath cabin with pool access in the Smokies provides the perfect vacation home for up 22 guests. 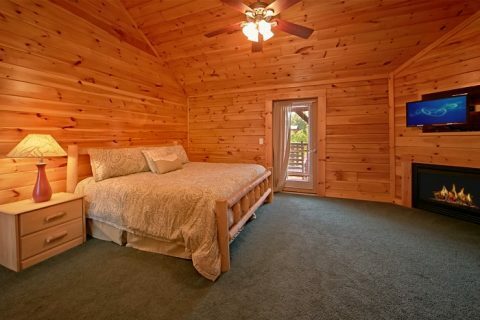 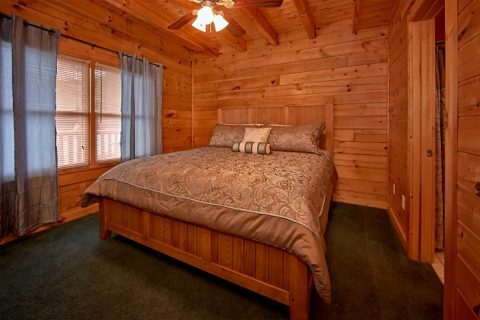 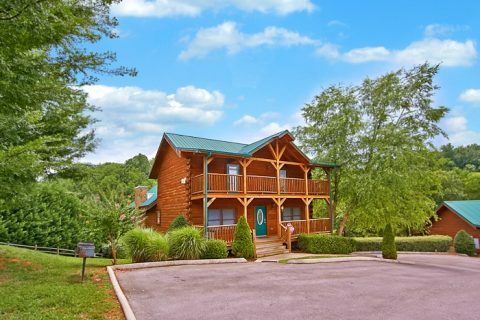 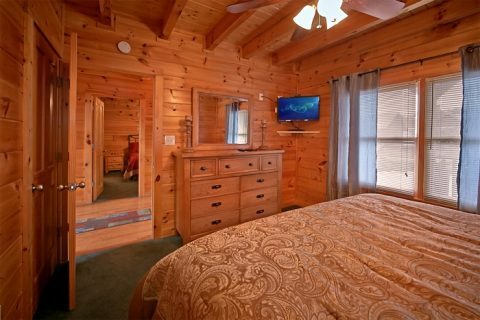 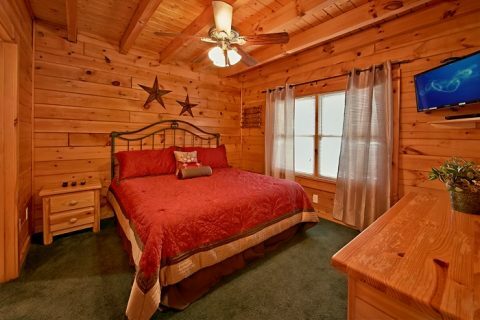 Only minutes from Dollywood Theme Park, attractions, live stage shows, adventure rides, and more – everyone is bound to have a great time enjoying the sights and sounds that neighbor this cabin in Cabins at the Crossing Resort! 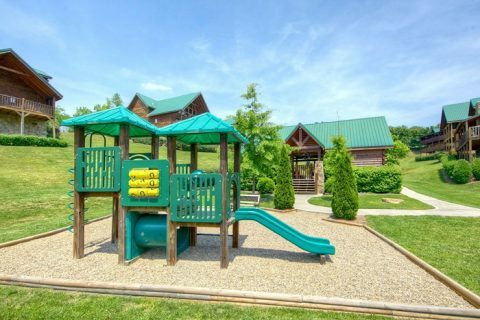 When you're not out and about visiting all there is to see and do, take a moment to relax by the summertime resort swimming pool with pool house, changing rooms, free poolside WiFi Internet, picnic tables, and a children’s playground nearby. 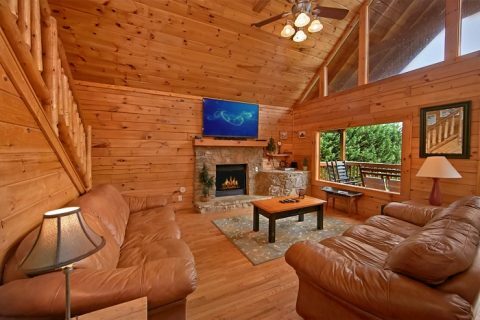 During winter months, rally around your cabin's gas log fireplace for sharing family memories during Yuletide. 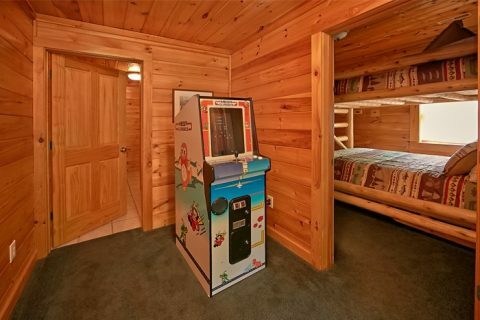 If your family has a more competitive streak, there is a pool table and stand-up arcade to keep some friendly competition going. 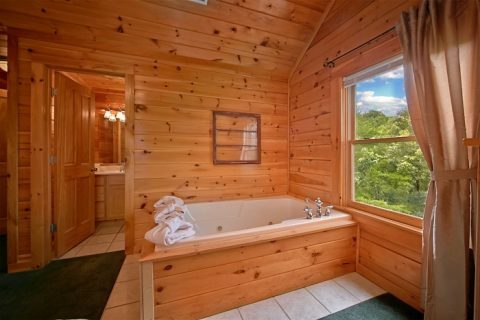 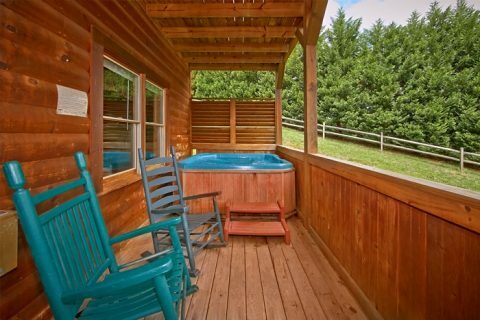 This Smoky Mountain cabin rental with pool access also comes with a year-round hot tub outdoors on the back porch for relaxation in every season. 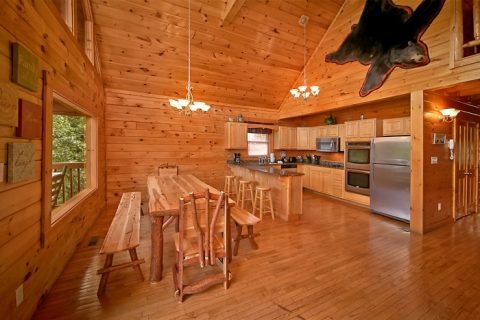 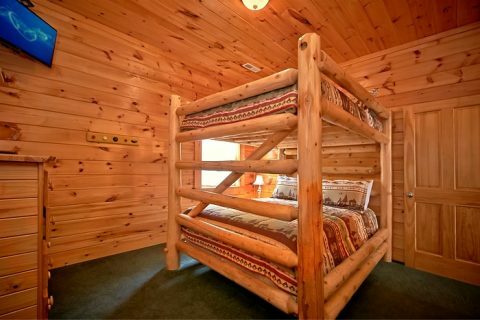 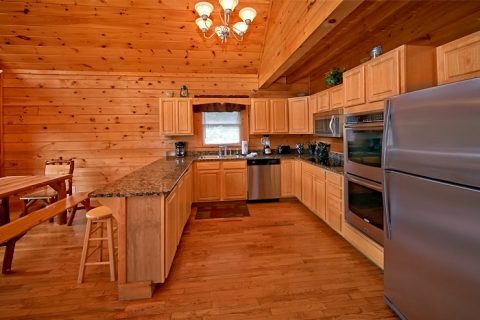 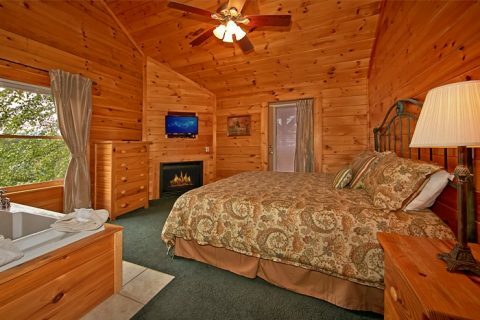 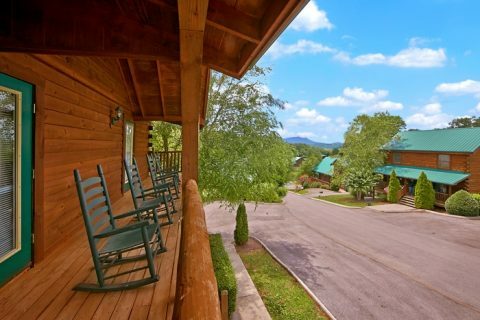 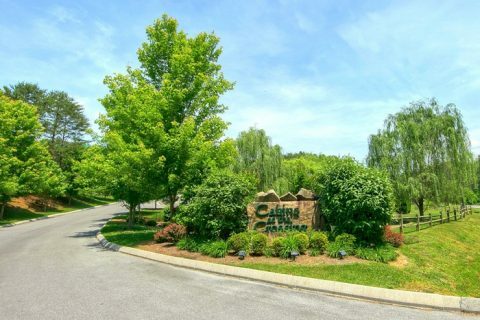 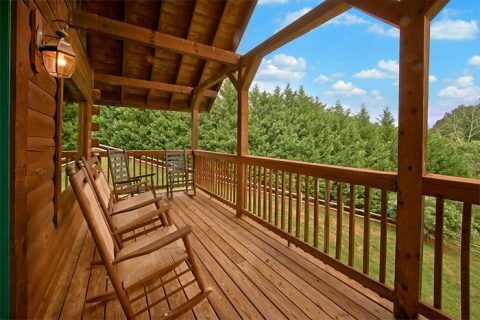 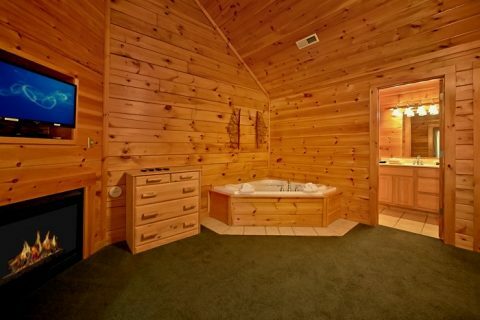 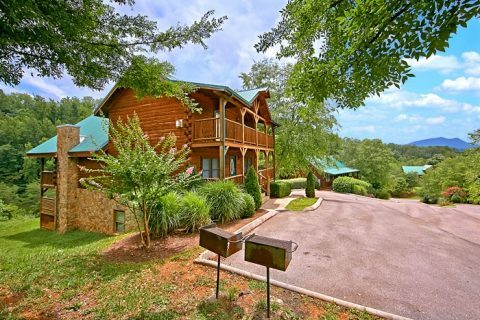 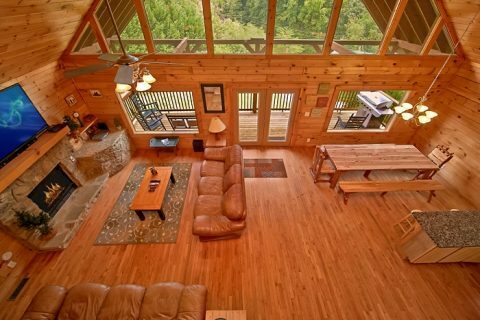 This Smoky Mountain cabin rental in Cabins at the Crossing offers additional luxurious amenities: free WiFi Internet for streaming your favorite shows, jacuzzi bath to partake in some private relaxation, a fully equipped kitchen with dining area for family meals, outdoor charcoal grill to host the perfect cookout, and washer and dryer. 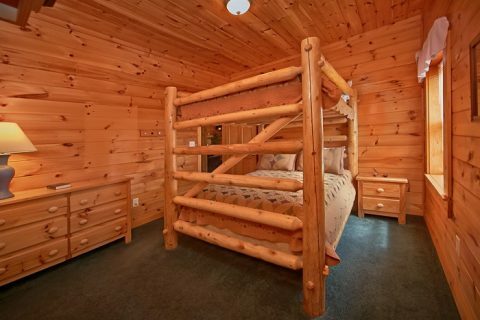 If you need more space to accommodate your large group, Cabins USA Gatlinburg can find an additional Smoky Mountain cabin rental with pool access within walking distance Timber Lodge. 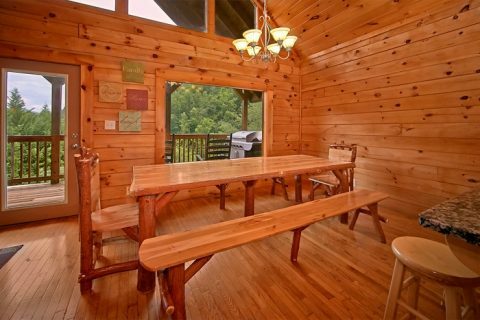 We are more than happy to assist guests in combing cabin accommodations for a group gathering to remember! 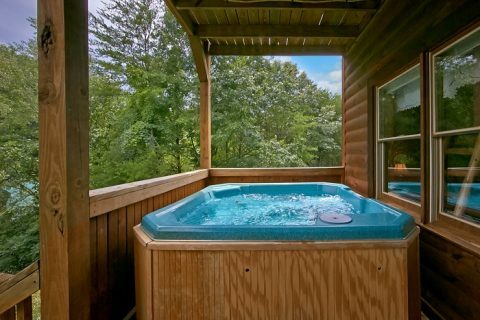 SAVE when you reserve your Smoky Mountain cabin rental with pool access online with Cabins USA Gatlinburg for an automatic Online Booking Special!